Not too long ago, I told you all about Shine On Now and how little girls everywhere can make a difference. I hope you've been utilizing the new website and inspiring the little girls in your life to think about what they can do be a positive influence on their world. I'm here to tell you about the new American Girl Dolls available today! They are a line of dolls called My American Girl and are fully customizable. In fact, there are 40 different styles to choose from so every little girl can have a doll that's close to her own resemblance. When you order a doll, you'll be able to choose a hair color and style, eye color, and skin color (including freckles or no freckles). If you want to pay a little extra, you can even have your doll's ears pierced. So, if you were going to order a doll, what would yours look like? 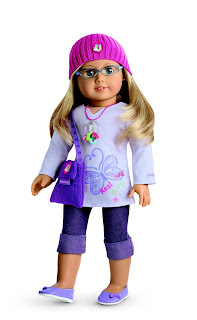 Go ahead over to the American Girl website and check it out to get an idea. Yes, I'm giving away one doll to one winner. It will be fully customizable to the winner's taste and is worth $95! You can gain additional entries by tweeting up to 2 times a day. 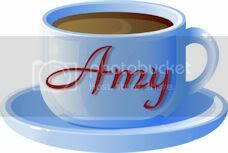 If you want, you can say, "I want to win the new American Girl doll at www.coffeewiththemrs.com! Giveaway ends July 30th. @themrsc." Please comment with a link to your tweet each time. Please leave a separate comment for each entry. This giveaway will run until July 30th at 11:59pm ET. The winner will be selected by using random.org and will be contacted and announced on or around July 31st. If the prize is not claimed within 48 hours, I will randomly select another winner. **The thoughts and opinions shared are my own and others may differ from mine. As a participant in this campaign, I will be given a My American Girl doll at no cost and will be able to give one away. Thanks to American Girl and Cohn and Wolfe for the opportunity.